While doing research, I came across this article written about our change.org petition. I was pleasantly surprised that so many hunters voiced their negative opinions under the comment section about hog hunting with dogs based on real life experiences. The modern domesticated dog may seem sweet and cuddly. However, behind that innocent look is the genetic code for a wolf. At least 30,000 years ago, our ancestors used domesticated wolves to hunt mammoths. The human-dog relationship was founded on a partnership that benefited both parties. Dogs helped mankind hunt and they provided security; humans provided dogs with shelter and a steady food supply. Somehow, people forgot dogs have an instinct to hunt. They chase mail trucks, rabbits, or squirrels. While we think it is cute, chasing is their instinct. Dogs are natural hunters and nothing will ever change that. A buddy of mine shared a link on Facebook to a petition at moveon.org. He hunts wild pigs with dogs and had some stern words about the petition. When I saw the petition, I shook my head in disgust. 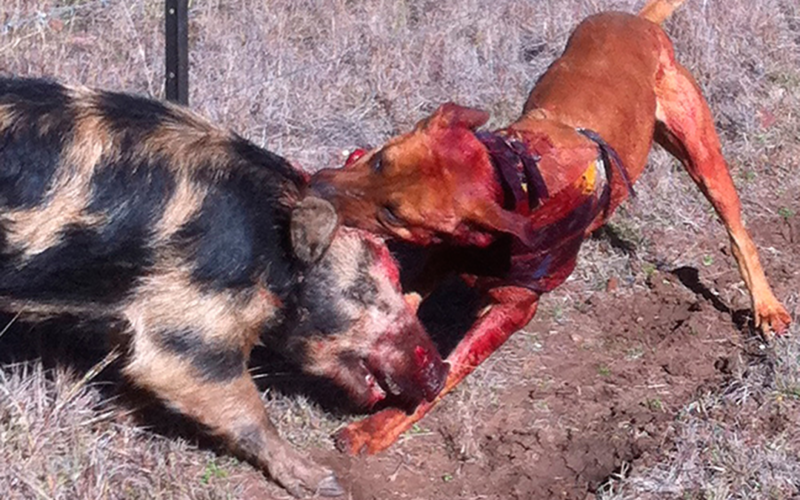 Goal: To outlaw the cruel and inhumane practice of using dogs to hunt wild boar in Florida, as well as in all 31 other states that it’s currently legal.